Inspired by the Manhattan dining scene, Avenue restaurant and bar offers a cool yet elegant dining experience right in the heart of Mayfair. With hard to read menus, often in French or Italian, and not to mention the significant price tag. Fine dining can be somewhat intimidating. However, you don’t have to be a regular cast member of ‘Made in Chelsea’ to enjoy fine dining in London. Avenue restaurant provides a fine dining experience for all to enjoy. 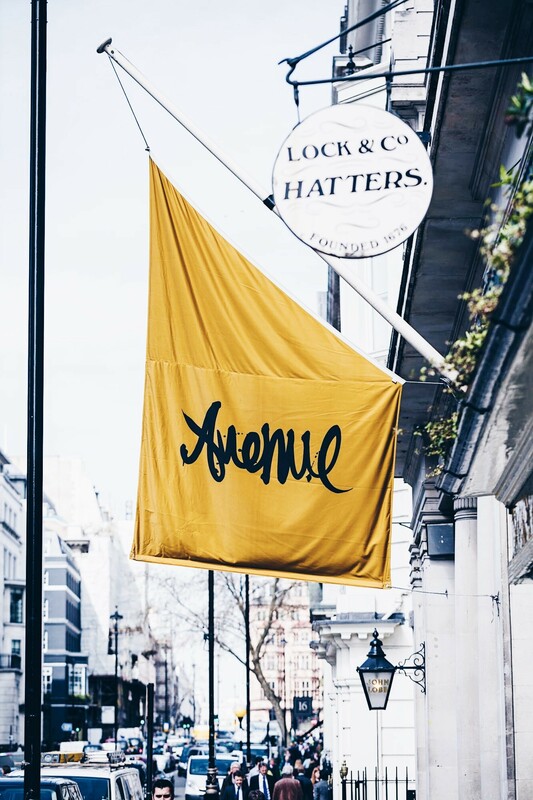 Located amongst the historic backdrop of Pall Mall, you’ll find Avenue restaurant alongside the distinguished retailers and Georgian architecture typical of this area. The exterior décor is very understated, recognised only by a branded flag – we almost walked right passed it. The windows were draped in an installation made with fresh flowers, which adds an artistic twist to the contemporary aesthetic of the venue. The space allowed for a comfortable bar area, that night was actually a networking event, so the bar was buzzing with people’s chatter. The bar alone would make for a good night out. And judging from the cocktails we got to try, the drinks menu serves classics with a twist! 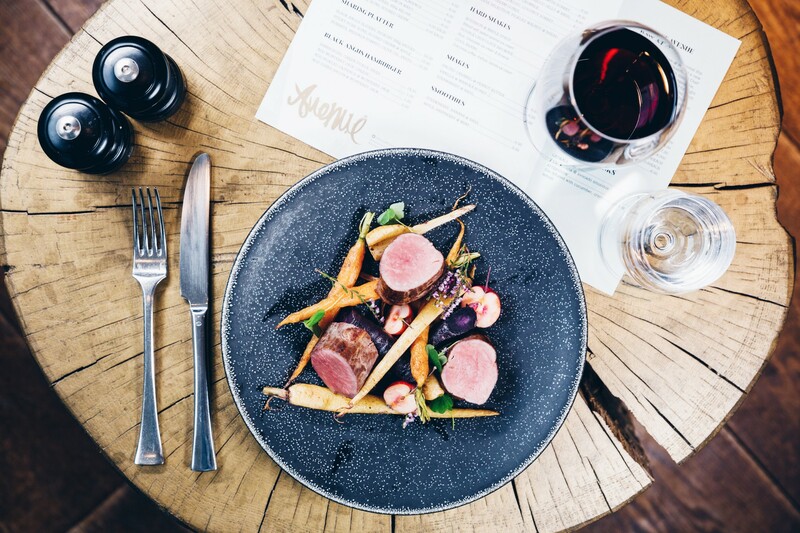 What’s On The Menu at Avenue Restaurant? Avenue restaurant describes their menu as “American cuisine”, however expect more than a good steak here. The menu had a nice range of fish, meat and vegetarian options – infusing French and American inspired cuisine. As recommended by the General Manager, we opted for the scorched salmon starter and lamb cutlets for main. We also ordered the octopus carpaccio and venison main. The food was delightful! The plating was in line with most fine dining restaurants, yet each element on the dish was there for flavour as well as presentation. 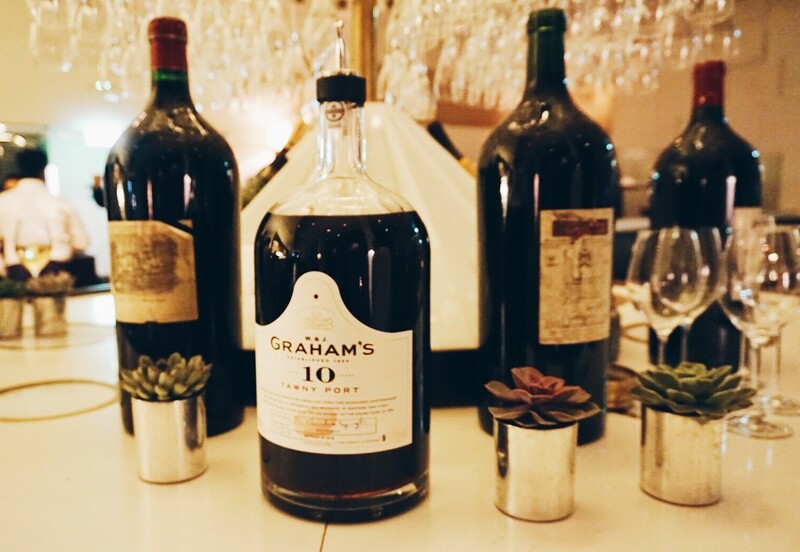 Each course was paired with a great tasting wine to match. As we had fish starters, we were provided with a white wine (unfortunately didn’t catch which one it was). I’m not much of a white wine drinker as I find them quite sharp, but this was very refreshing and easy to drink. The red for the main, was the merlot, which was too easy to drink! I love my red wines, so this was definitely a top choice from me. I found the overall dining experience near perfect. The ambience and setting was laid back, with a touch of elegance. The food was divine, and the service made for a delightful evening. Would I go there again? Yes! In a heartbeat. Even if only just for the lamb cutlets, these really were the highlight of the menu for me. Service was key at this restaurant. All of the staff were attentive and welcoming and were constantly checking up on the diners. The menu had variation but was simple and not pretentious at all – which can often be the case with high end restaurants. It’s a hidden gem, perfect for enjoying a relaxed romantic dinner or even just for a few cocktails at the bar. There are a few other nice restaurants in the area, but Avenue has now become a front winner for my favourite! 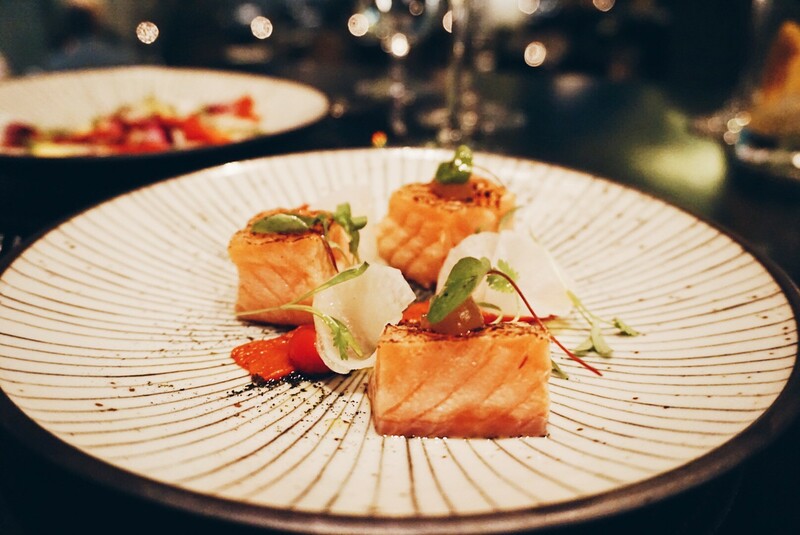 The scorched salmon starter is exquisite! Highly recommend it. 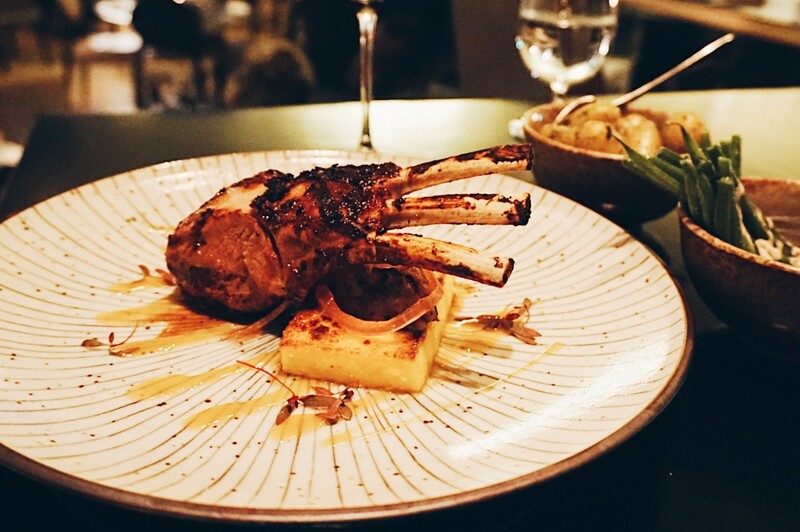 Lamb cutlets for main would be top choice for main (and I’m not a big fan of lamb!). For more information or to make a reservation, visit the Avenue restaurant website here. DISCLAIMER: I was invited to review the dinner menu at Avenue restaurant and bar with complimentary food and drinks, but all opinions expressed are my own. This restaurant sounds great! The lamb looks amazing. Avenue restaurant sounds fantastic. Sounds like the general manager dos a great job – I notice they do try to treat all the same. I’d go there for the lamb cutlets too!!!! I don’t know why but I’ve been reading a lot of London travel guide lately, I want to visit London so bad! That looks so fun, I’m jelly! haha. I love how laid back the atmosphere was and you really do need that especially during lunch! The lamb cutlets sound divine I think for a fine dining experience the price is very good. Firstly your photography is incredible! Secondly what an amazing meal. The food looks perfectly presented. I don’t eat meat and my mouth was still watering just looking at it. I’m drooling at the sound of the scorched salmon starter! Oh wow the food all looks and sounds amazing! 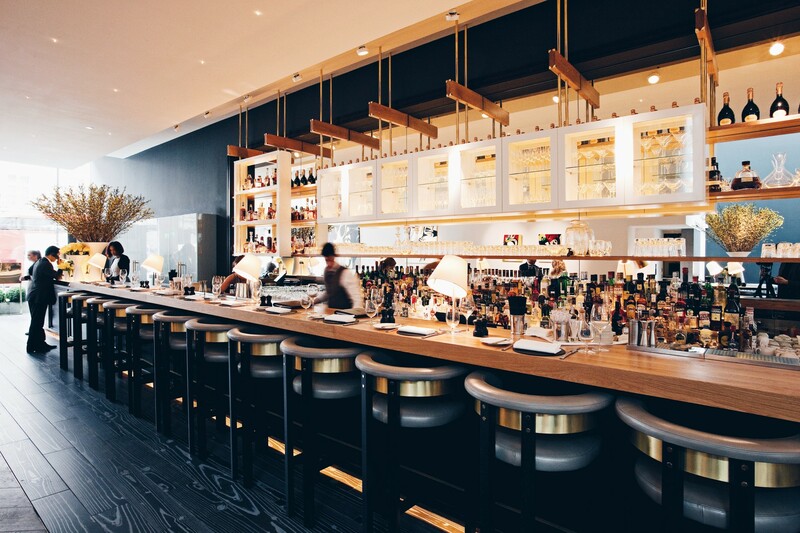 It looks like Avenue would be a great place for cocktails with the girls as well, that bar is gorgeous. The price seems quite reasonable for a London fine dining restaurant too. Sounds like a great restaurant to visit! The food looks absolutely delicious. I’ll definitely have to check it out next time in London. The restaurant looks beautiful and scorched salmon sounds delicious! This food looks legit and amazing. Love everything about it, and if I were there, I have a feeling that this would be on my list of go to places! What a gorgeous looking restaurant and the food looks AMAZING!